What is an eligible bachelor? With the definition out of the way, let's take a look at the current eligible bachelors in poker. 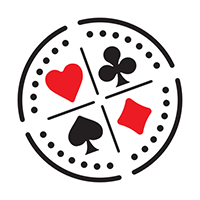 As you may have seen in my previous articles with regards to dating a poker player, it can be quite difficult for them to keep the relationships while maintaining the poker lifestyle. This is my personal opinion list of who are considered to be eligible bachelors fitting the above criteria: not married or cohabitating (as far as I am aware). Daniel has won six WSOP bracelets and has two WPT Championship titles. He placed second in the Big One For One Drop 2014 tournament and he is currently the biggest live tournament poker winner of all time, having collected over $29,750,000 in prize money. Daniel raises money for charity as well as being the founder of his own charity event “ Big Swing”, which is a golf event, raising money for the Lili Claire foundation. I have met Daniel a handful of times and he is a lovely, well-mannered guy. Daniel has starred on the Millionaire Matchmaker looking for love and it seems he is still on the hunt for his wife!! I think he’s a great catch. I sincerely believe Daniel would be good fun, he’s outgoing, always joking around and I think would make for a playful, light relationship. He seems caring, especially with all his charity work and eager to please. Great husband material. Phil Ivey has won ten world series of poker bracelets and one WPT title together with nine more WPT final tables. Phil is considered to be one of the world's best all round poker players with total live tournament winnings in the region of $23,000,000. His cashgame winnings are not tracked, but are probably in the upper eight-digit region as well. Like Daniel, Phil is also involved in charity work. He donates generously as well as being the founder of the budding Ivey foundation. He has also founded some companies of his own including Ivey Poker. Phil was married once but unfortunately the marriage ended in a divorce in December 2009. He enjoys basketball, video games, prop betting and golf. Having met Phil, I can say that he is very reserved and polite. He is yet to re-marry, so who will be the lucky lady? My personal opinion is that he will prefer to keep his woman private and maybe needs someone who is also reserved. I think he will treat his partner well and spoil her and seems like he needs someone that will support him and his career. But he also needs someone outgoing in my opinion, as he seems quite shy, but to me this is quite endearing. What you may not know: He appeared as a stunt man in the 2013 film "Olympus Has Fallen"
Dan claims that he earned $50 million from poker over 12 months. His net worth is said to be $100 million. He is also the co-founder of Victory poker. Dan seems to be somewhat of a bad boy and has been arrested and caught up in a few law suits over the years, but he clearly has a softer side as he financially assisted Las Vegas foster parents Brian and Nicole Hammond. The Hammonds are foster parents to six children with special needs. It is clear that Dan is a ladies' man and is enjoying unmarried life, but this is not to say that he can’t be tamed! Is there a woman out there that has the ability to do so?! I think Dan will be hard to tame but nothing beats the love of a good woman, I think he will be really good fun and would suit someone who likes to party and travel. He seems to me like he needs a strong independent woman. I bet you will see a few sights being with Dan!! I think he is very outgoing and confident and needs someone to match that. Jonathan is one of the few who can boast a WSOP Main Event bracelet and was the first Canadian to get this coveted piece of jewellery. He has also won a high roller at an EPT and cashed in two other WSOP events. His total live tournament earnings are said to be around $13,000,000. Jonathan kindly donates to charity and donated $100,000 of his winnings to the Montreal Canadians Children's Foundation. It was the largest individual donation ever made to the organization. Jonathan had a bit of a rough time in 2011 when he was badly beaten and had robbers at his home taking money, a Rolex and his main event bracelet. The attack was orchestrated by his former girlfriend, so I think that he really is due for some love and care and to find himself a beautiful potential wife!! I think Jonathan is really sweet but he seems a bit quiet and shy. He does seem quite loveable and I believe he needs someone to love and care for him and he will do the same in return. He leaves an impression of an honest and genuine guy and you can’t go far wrong if a man comes across that way! Gus has more than $10 million in tournament earnings as well as one WSOP bracelet and 3 WPT trophies. He actually started off as a backgammon player but switched to poker and has been hugely successful in doing so. Gus has a series of instructional poker DVDs as well as a poker forum and strategy website. He was sponsored by Full Tilt before they closed and was the first player to be signed by them when they re-launched. Gus was voted one of the 50 sexiest men in the world by People magazine in 2004. What a catch, right? However there are some big shoes to fill as he was dating one of the best female tennis players in the world, Caroline Wozniacki. In my personal opinion Gus would be hard to please looking back at some of the interviews I have read as he seems quite picky. It will take a very strong woman to get him to settle down. I think that his priorities right now are himself and things that he enjoys to do with little room for a partner, so they will have their work cut out for them. I think all poker players are complex people and there are pros and cons when it comes to being a poker wag. They have a difficult lifestyle which may be a stumbling block to why many are not yet married. If you haven’t yet, read my poker and relationship two-part article where I do speak more in depth about the struggles of a relationships intertwined with poker. Good luck to all the players out there still looking for the one! !